This morning was a big bowl of AWESOME! 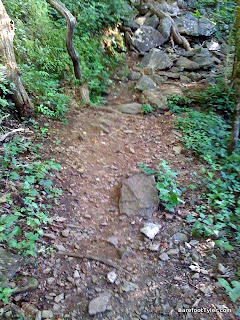 Actually, I had oatmeal again(that stuff is super great for running), but we went trail running on the Appalachian Trail. The drive out there is only about 30 minutes. 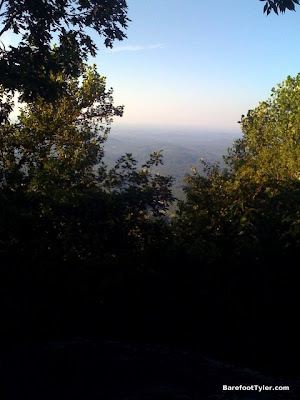 Once your out there you can hike, 1 mile, 2 miles, or 2175 to Maine. We took the middle ground and went about 3. Some of my big fans(yeah right) may remember that I did this a while back. I got miserable half way though and walked back. This time was a bit different. We started out doing great. My dad had a few second lead on me and spread it out to about a minute by the time we hit the half way point(Ramrock lookout). He was running in his Vibram Five Finger KSOs and I was barefoot. We chilled at the top, watched some Boy Scouts walk buy, disregard the lookout, and keep walking. I couldn't believe it. 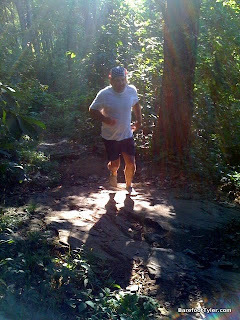 dad running in his Vibram Five Finger KSOs. i like the lighting. Anyway, on our way back my Dad stayed behind me and was laughing whenever I would step on a rock. I do what I am supposed to do and buckle my knee so the weight is shifted to the other foot. He still thought it was funny. This is where I see the difference between barefoot running and running in Vibram Five Fingers. 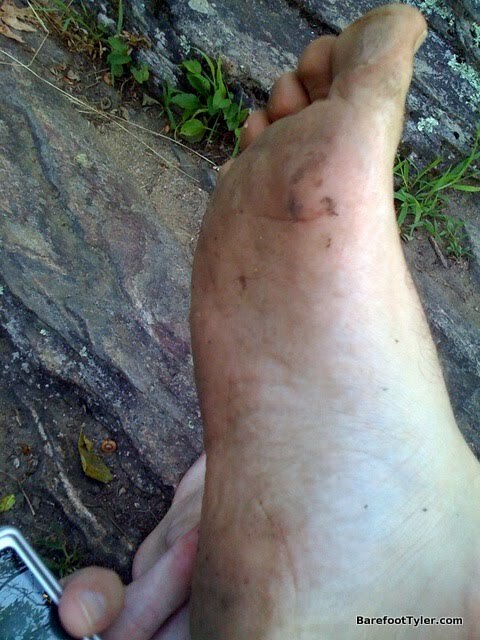 My Dad handled the rocks just fine in Vibram Five Fingers. Its great to see him running out there with me, but I have to point out one thing: Wearing Vibram Five Fingers is NOT barefoot running! Its not washing your hair if you have a shower cap on. You can feel it, see it, but it isn't touching your skin. some rocks are unavoidable. remaining light is key. Now would I have preferred Vibram Five Fingers today? Maybe. 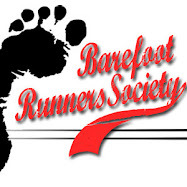 There were times of discomfort, but I REALLY enjoy running barefoot and think that the ground feels so awesome with all of its different textures. 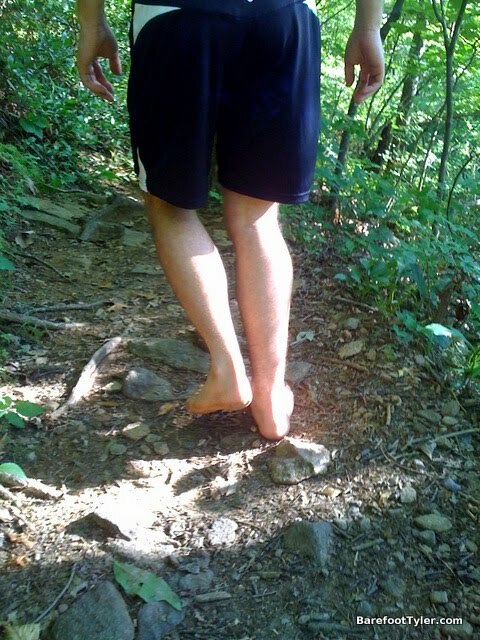 If you have never walked around outside barefoot you are missing everything. It's like a completely different sense. Anyway, we started to run back. My dads pinky toe slipped out of his Vibram so I took this as an opportunity to take some pictures. I should have never done this. Yesterday my hip flexor was hurting, and it started to nag me on the way down. After we stopped to take pictures I didn't want to run anymore. My feet were uncomfortable, but I could have ran over that if I didn't have stupid hip problems. At the end of the trail I noticed some glass that was at the start of it. I ran over it earlier and didn't even know. I must be running light! After that we went to our friend/chiropractor. He told me that he may be able to adjust me to loosen up my hip flexor. He definitely did something, because it is feeling a little better. Well that was two hours of awesome. 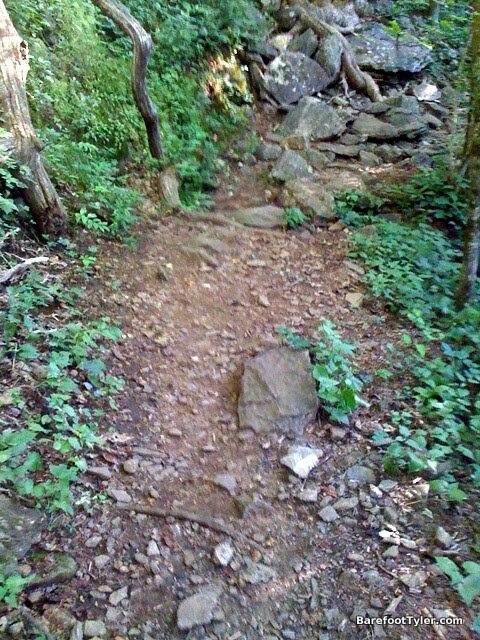 I can't wait to run some trails again!